/fāTH/ n. a confident or wholehearted belief in the truth, value, or trustworthiness of a person, idea, or thing. We actively seek to invoke a sense of wonder and awe about life, and it’s many gifts. We work towards cultivating a sense of UU identity while fostering divergent thinking. We explore our UU values through experiential lessons and engaging stories. We do not want only to take the children from A to B. We want to give them A and help them realize their own path to B and beyond! Our kids are often given leadership opportunities and asked to help craft their worship. After all, it is THEIR worship! We center our programming around what we call the Big Ideas. These ideas are values and concepts stemming from our seven principles. At each stage of programming, we focus on three Big Ideas and each session is related to one of those Big Ideas. We believe that a child exploring these Big Ideas on a consistent basis will live an enriched life. 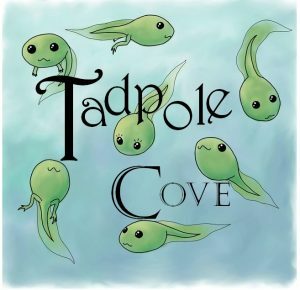 Tadpole Cove is a welcoming, energetic space for children from 0 to 5 years old. This nursery provides structure and familiarity to children while encouraging exploration and curiosity through play and socialization. Tadpole Cove is open from 9:30am – 1:30pm. Please join us in the Howe room. 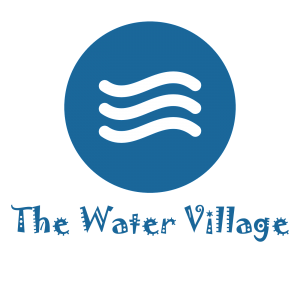 The Water Village is a loving community where children are invited to be a part of a living story. Water Villagers worship together through an engaging story, UU rituals, and experiential learning activities. They experience what it means to be a community and learn how to practice UU values. Please sign-in at the blue kiosk outside of the Sanctuary. The children travel together from service to The Water Village. 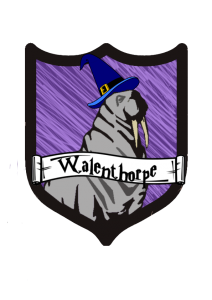 Walenthorpe is a story-land community in a fictional wizardry school. In the “real” world it’s a community of youth who meet every Sunday after service. In this sacred space they explore theology and decide how they will use their faith in everyday life. Youth come to Walenthorpe for many different reasons. No matter what their initial reasons for coming, after a while, they realize they all come for the same reason: to be in community, to learn, to laugh, to love. Walenthorpe meets in the Emerson room every Sunday from 12:15pm – 1:15pm. Should I practice honesty with myself and others? Should I practice open-mindedness? Should I practice willingness? I do not think it is the business of a poet to be a guru. It is his business to write poetry, and to do that he must remain open and vulnerable.